January 27, 2019 at 6:29 am. Families who can no longer enjoy the merits of public education without injuring their child and, and will home school. Schools are struggling to handle the massive numbers of children with neurodevelopmental disorders. The juggernaut of vaccine enforcement is pushing for mandatory vaccination even in children who are home-schooled. The actual bill of removing someone’s existing rights requires a sponsor willing to risk the wrath of the people who need exemptions. Everyone knows you should not come between a mama bear and her cubs. In short, political support for stripping exemptions will prove to be political death. 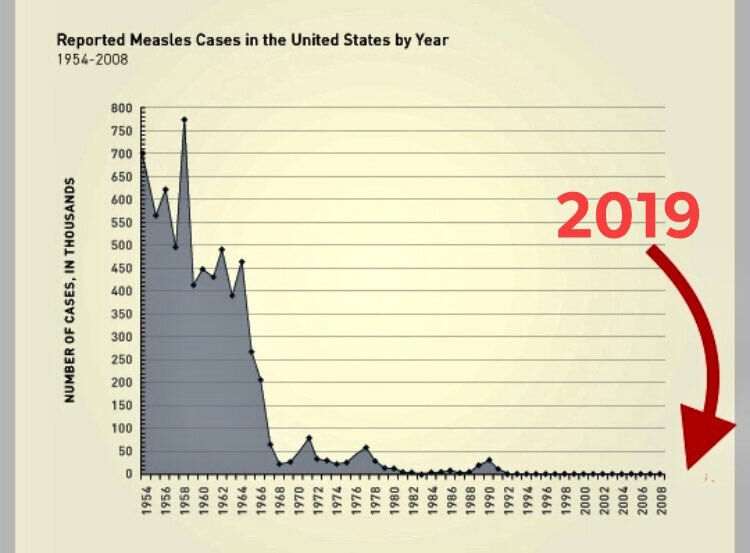 Pharma donations to both sides of the aisle to buy these bills cannot change the fact of a mathematical rule: 100% vaccination means maximum vaccine injury. The public will not tolerate the insanity of mandatory vaccination without personal, philosophical and religious exemptions. The net result of all of these factors is that Pharma will lose political support for any law enforcing vaccines. In fact, laws mandating vaccine could be repealed if the extent of vaccine injury concomitant vaccine risk awareness becomes too broad. So, Pharma, ask yourself: where is a line too far? Where do you stand to lose it all? California was a fluke. Pan had to lie to his colleagues in the California Senate about the use of aborted fetal cells in vaccines. I’m surprised Pan wasn’t sanctioned for that lie. But now that Stanley Plotkin has told the world in videotaped testimony that aborted fetal cells are indeed in vaccines, and that he knows that the studies conducted to date cannot be used to rule out that vaccines might cause autism, and the entire vaccine risk aware community has the evidence that aborted fetal cells are used in vaccines, that aluminum is used to induce autoimmunity in animals, that mercury and aluminum synergistic toxicity is real… there will not be another California, and if there is, the people of the next state will remember who stripped them of their rights to choose. I’m in this area of research to help make artificial approaches to immunity safer with biomarkers and changes to vaccine formulas. I do what I do because I’d like to see medical practices based on valid, not fake, science. I provide evidence in support of vaccine injury backed by science because I’m an ethical scientist. I won’t participate in scientific fraud that leads innocent moms and dads to help doctors injure their children.